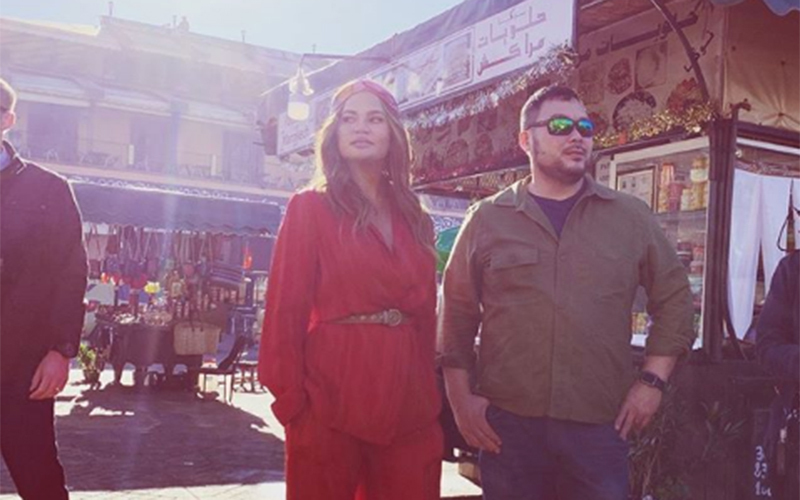 TV host and former model Chrissy Teigen is in Morocco where she is filming something ‘awesome’ that is yet to be revealed. The former american model Chrissy Teigen shared the news on her Instagram account, with a story video showing her in the company of some friends. 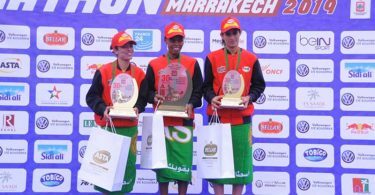 “We are in Morocco” she can be heard saying. Chrissy Teigen, also author of cookbooks, however, later shared some clues about her presence in Morocco. The latter seems indeed to be in Marrakech for culinary reasons. 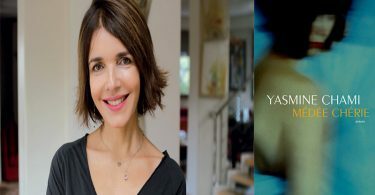 She shared on Instagram a video of her with american chef David Chang, host of the show “Ugly Delicious” on Netflix, roaming the souk of the ocher city. It must be said that Morocco and its culinary treasures are not foreign for Chrissy. She had spent the holidays in March 2017 with her husband, singer and actor John Legend, and their eldest daughter Luna. Shortly after this trip, she had ventured with a local specialty, couscous, sharing an original recipe with her many followers who were many to criticize her.